Echocardiography plays a key role in the diagnosis of many cardiac conditions and in the assessment of response to therapies. Despite the emergence of new, advanced diagnostic tools such as cardiac computer tomography and cardiac magnetic resonance, echocardiography still plays an important role in patient care because of its unique capabilities. Non-invasive imaging of the heart continues to evolve and improve. 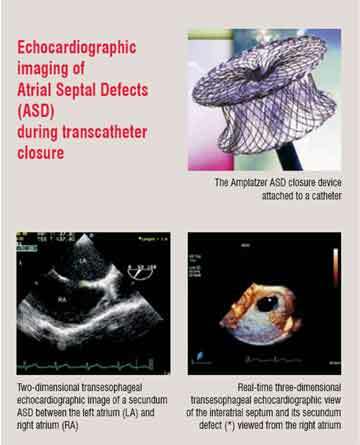 Cardiovascular ultrasound or echocardiography continues to play a key role in the diagnosis and assessment of response to therapy of many cardiac conditions. The advantages of echocardiography are that it is a safe non-invasive test without radiation exposure and is a relatively inexpensive method to rapidly evaluate the structure and functions of heart. • helping in the early detection of subclinical disease. This review will briefly highlight some of these exciting new areas. 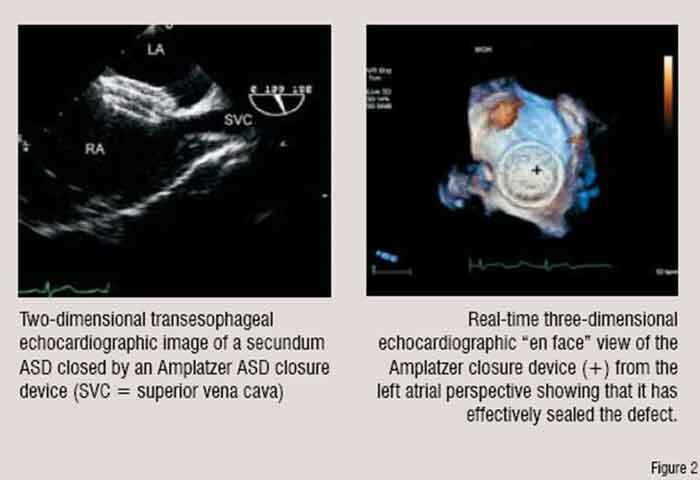 Echocardiography has two main advantages: mobility—it can be brought to the patient bedside very easily—and capability to provide real-time assessment (immediate processing of images without any delay). In fact, ultrasound machines continue to evolve such that full capabilities including three-dimensional echo, two-dimensional echo, transesophageal echo, spectral and colour Doppler imaging, strain rate imaging and even intracardiac imaging can be performed on devices that are increasingly smaller in size. Some of these machines are now as small as or smaller than a laptop computer. Thus, it is easier to provide echocardiography anywhere in a hospital, office or other environments including underserved areas of the world. Much of medical imaging has switched to three-dimensional (3D) display and this is true even with echocardiography. Real-time 3D echo imaging is in its infancy and we are still learning its strengths and weaknesses. To date, however, the transthoracic 3D echo has shown value in accurately assessing the contractile function of the left ventricle and the transesophageal 3D approach has helped in improving the visualisation of some of the valve pathologies (Figure 1). Standard machines are now outfitted with the hardware and software to perform real-time 3D echocardiographic imaging. from routine fluoroscopy so that the position of the devices can be optimised (Figure 2). By virtue of its ease of use, safety, lack of radiation, low cost and portability, echocardiography has come to play a key role in selecting patients for and guiding these procedures. Table 1 lists some of these representative procedures. 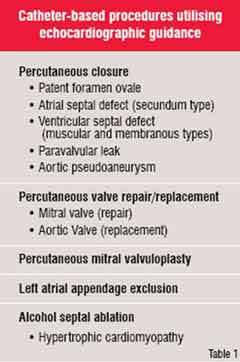 For example, recently transcatheter percutaneous delivery of prosthetic aortic valves—an aortic valve replacement without a chest incision or cardiopulmonary bypass—has become possible. To achieve this, an expandable stented bioprosthetic valve is mounted onto and delivered to the correct location by a balloon catheter. Echocardiography has helped refine this technique in several ways. The echocardiogram is used 1) to help select potential patients with severe aortic stenosis, 2) to guide delivery of the transcatheter valve, 3) to assess the integrity of the device once it is deployed and determine if repeat balloon inflations are required for optimum position and function, and 4) to follow the durability of the new valve. Efforts are now underway to regenerate portions of diseased hearts through the delivery of stem cells, genes and small molecules. Current investigations involve patients with ventricular dysfunction from extensive myocardial infarction and other cardiomyopathies. While catheters can perform the delivery, imaging such as with transthoracic, transesophageal or intracardiac echocardiography is critical to identify the diseased portions of the heart and direct the delivery catheters to specific regions. There are many other examples of how echocardiography has helped in minimising the invasive procedures. All of these examples highlight a future role of the cardiac imager and echocardiography for identification of appropriate patients for these less invasive treatments and in the real-time guidance of the procedure. Echocardiography has played a major role in advancing our understanding of cardiovascular physiology, disease mechanisms and even treatment development. There is hope that in the near future we will be delivering care in a new way based on the genetic characteristics of each individual. This has been termed Personalised or Genetic Medicine. However, before we can enter this phase we need to understand what role various genes play in the cardiovascular system. Echocardiography has a role in this arena since it allows for descriptions or phenotyping of cardiac structure and function which can be related to various genes. Two examples where echocardiographic identification of pathology can be linked to genetic characteristics are arrhythmogenic right ventricular dysplasia and hypertrophic cardiomyopathy. Arrhythmogenic Right Ventricular Dysplasia (ARVD) is a rare cardiomyopathy predominantly affecting young adults but it accounts for up to 5 per cent of the cases of sudden death in young adults. Interestingly, vigorous athletic activity is a common trait of these individuals. Affected individuals frequently have palpitations and ventricular arrhythmias. Pathologically, RV dilation and fat infiltration of the RV free wall are seen. The echocardiographic features include RV aneurysms, RV enlargement, regional RV dysfunction and RV trabecular derangement. Recently a variety of mutations have been identified in ARVD patients in genes coding for the desmosomes. The desmosomes are proteins responsible for cell to cell adhesion. It is hypothesised that defective desmosomal proteins permit loosening of the myocardial cellular bonds and this initiates a series of events in which there is fatty and fibrous replacement of myocardial cells. In turn, this leads to ventricular arrhythmias and dysfunction. This degenerative process may be accelerated by exercise as this increases contractile load on the cell to cell bonds and would first be noted in the RV which is more vulnerable than the thicker LV. At present it is not cost- or time-effective to embark on a search for genetic mutations in all people with PVCs. However, echocardiography can help to identify those with the phenotype of abnormal right ventricles. Echocardiography thus provides an opportunity to narrow down the search and identify only those individuals and their families who need to undergo more intensive genetic work ups and treatment. Hypertrophic cardiomyopathy includes a spectrum of myocardial diseases with regional or diffuse ventricular hypertrophy with or without a component of obstruction to outflow of blood from the left ventricle. Though it is among the most common causes of syncope and sudden death in young athletes, it does affect all the age groups. Mutations or defects in genes encoding several components of heart muscle have been identified in this disease. 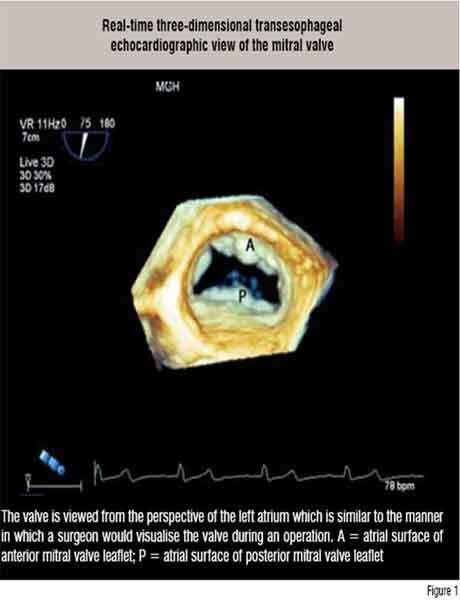 Similar to ARVD discussed above, the structural abnormalities in this disease are evident on echocardiography. As it is not cost-effective to perform genetic analyses at present on all patients with syncope or sudden death, the echocardiogram can be used as an initial screen for the disease thus narrowing the population for the genetic evaluation. In addition, echocardiography can identify those patients who will benefit from treatments such as surgical removal of obstructing heart muscle or the new catheter-based treatment to reduce obstruction. Deaths from cancer have not declined to the degree that heart disease mortality has improved but there continues to be significant advances in cancer treatment. Unfortunately, there is a dark side to some of these treatments. It is well known that some of the popular chemotherapeutic agents have toxic and irreversible effects on myocardial function. Echocardiography is used to monitor cardiac function to enable patients to receive optimum doses of chemotherapy. This allows patients to receive the treatments without development of significant decreases in left ventricular function. With echocardiography, we are also gaining insights as to why these cardiac side effects occur and this may help in devising new treatment strategies to reduce the side effects. One explanation for this cardiotoxicity involves free radical production that results in cardiomyocyte cell death also known as apoptosis. Once symptomatic, recovery from this cardiac dysfunction is rare. So, our challenge is to find the tools that identify cardiac effects of the chemotherapy before they are clinically evident so that doses can be modified or not given and thus prevent irreversible heart failure. Likewise, we need these tools to be able to tell us when it is safe to continue the drugs. Investigations with echocardiography are currently underway to try to identify those markers of subclinical cardiac dysfunction. Thus, our future use of echocardiography in patients undergoing certain cancer treatments may be more than just a monitoring of the development of cardiac dysfunction. Echocardiographic contrast agents are utilised to enhance image quality and especially to improve the detection of left ventricular endocardial borders. These are microbubbles and microspheres that are smaller than red blood cells and when injected intravenously they travel through systemic and pulmonary circulations. Newer agents with enhanced stability and which can be easily be detected in the myocardium are thus capable of functioning as a marker of coronary artery perfusion. Such agents are currently under development. Preliminary trials of these agents suggest that when they are combined with vasodilator stress, the transthoracic echocardiogram can accurately assess myocardial perfusion and detect significant coronary artery disease. If these observations hold true in larger clinical trials, then stress echocardiography could evolve to combine imaging of myocardial perfusion and regional LV wall motion in a fashion similar to current radionuclide tests. The advantages of the echocardiographic approach include no radiation, a rapid real-time assessment, lower cost and the fact that additional structures such as heart valves, other chambers and the pericardium can be evaluated at the same time. Echocardiography also has a future role in the public health disorders of diabetes, obesity and metabolic syndrome. Heart disease is an important component of all of these disorders. Novel echocardiographic techniques can identify subtle involvement of the heart in these diseases and thus trigger interventions at early stages of the cardiac risk—when the chances are higher that such efforts will reduce development of cardiac disease. It remains to be seen, however, if interventions on patients identified with these early echocardiographic markers of dysfunction can improve outcomes. If such a link is established, then it is exciting to think of how we can utilise the miniaturised point-of-care echocardiographic machines to screen large populations at risk, identify those who would benefit from interventions and potentially reduce the worldwide burden of cardiac disease. With these limited examples one can see the broad spectrum of future applications of echocardiography. However, there is also a danger of over-utilisation of echocardiography and that would add unnecessary costs to healthcare systems. To prevent such a problem, it is critical that all who utilise echocardiography practice appropriate use of the technology. Although there are complementary roles for various cardiac imaging techniques, it is should be ensured that there is no unnecessary redundancy. 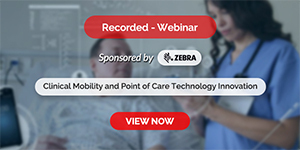 Due to new and evolving uses of non-invasive cardiac imaging that are critical to patient care, the future for echocardiography remains bright. Cardiovascular ultrasound, therefore, will stay viable and its uses in clinical care and research are bound to grow in the future. Michael H Picard is the Director of the Clinical Echocardiography at Massachusetts General Hospital and he is the Associate Professor of Medicine at Harvard Medical School. Among the awards he has received are the Young Investigator Award from the American College of Cardiology and the Richard Popp Award for Excellence in Teaching from the American Society of Echocardiography.